If there ever was a servant for our Lord, Matthew Jun is it. He and his wife Jennifer with their three children left the United States over 12 years ago to witness for our Lord to our brothers and sisters in Nicaragua. All they knew when they left the US was that the Lord was calling them there but they did not know what His plans for them were. In Managua Matthew met another Presbyterian missionary man named Pastor Roh. 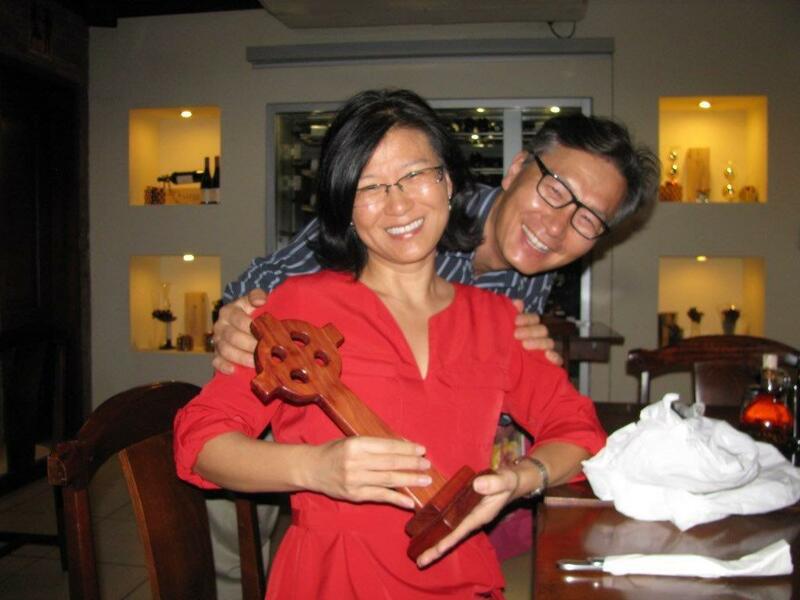 Pastor Roh had started and was running a Presbyterian school called Colegio Christiano Presbiteriano, CCP. Matthew agreed to run the school for Pastor Roh. But that was not enough for Matthew. He also started a small clinic and a feeding program in a neighborhood called Mecardo Oriental. Mecardo Oriental is one of the most dangerous areas of Managua. Since then Matthew has expanded his ministries to include a large and very modern clinic, multiple education venues and Christian leadership training to serve the less fortunate in Managua. Here is Matthew and Jennifer's <audio presentation> at the 9:30 Sunday School class. And here is their <audio presentation> at the 11:00 Sunday School class.